Both were previously group account directors at the agency. 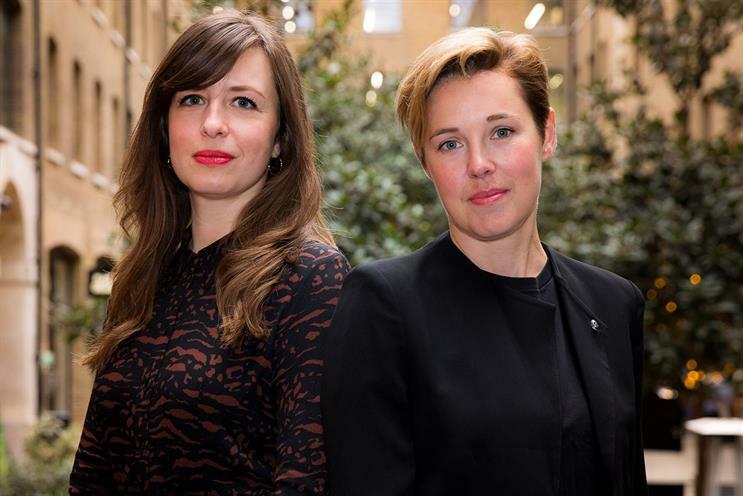 Droga5 London has promoted Heather Cuss and Rebecca Lewis to the new roles of joint managing directors. Reporting to chief executive Bill Scott, Cuss and Lewis will be responsible for the day-to-day running of the company and driving agency culture. They were previously group account directors. Cuss will focus on clients Amazon Prime Video, Amazon Prime and Barclaycard, while Lewis will oversee Mini Electric and Uniqlo. The appointments follow Droga5’s client wins last year, including Amazon Prime Video, Barclaycard, Mini Electric and Pernod Ricard’s Kahlúa. Scott said: "Heather and Rebecca are role-model business leads and have been instrumental to our new-business performance and creative product. As joint MDs, they will now help navigate the Droga5 business through its next phase of growth." Cuss joined Droga5 in 2016 and has headed accounts such as Barclaycard, Amazon, Danone Europe and Seat. She was previously a business lead at Bartle Bogle Hegarty, where she worked on global campaigns for Lynx and Unilever. She started her career at WCRS. Last year, Lewis led the launch of London retail space Coal Drops Yard and Uniqlo’s "Metatronia" work in collaboration with Solange Knowles Ferguson. Before starting at Droga5 in 2017, she was business lead at The & Partnership in New York and also worked at St Luke’s and Ogilvy. Cuss said: "Keeping the focus on the work and the people that make it happen while the agency undergoes an exciting period of growth is the nice problem Rebecca and I are looking to solve and we can't wait to get stuck in." Lewis added: "Knowing the agency, the brilliant people here and having been a part of it all for the last two years makes the opportunity to play more of a role in shaping its future all the more exciting."